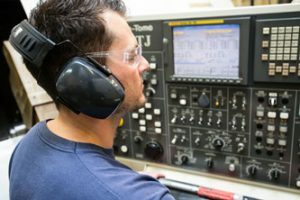 Reliable experts in complex turned parts, machined parts and components groups – this is what the Berlin-based company Klaus Ellinger GmbH and its around 80 employees have stood for for over 40 years. On behalf of our customers, we reliably manufacture individual components as well as small and medium series using all machinable non-ferrous metals, steels and plastics. For the next available starting date, we are seeking reliable employees for the following positions. Please note: Unfortunately, we are currently unable to offer preliminary or introductory internships for technical degree courses.